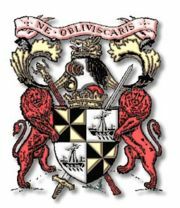 The Campbell clan is one of the most powerful clans in Scotland, with its ancestral seat in Argyll. Nowadays, Argyll can seem somewhat remote but you must remember that for most of Scotland's history trade and travel was mainly by sea. Trade with Ireland, England, Norway (who rules Orkney, most of the Outer Hebrides and the Isle of Man) and later with continental Europe, meant any clan with strategic coastal lands controlled much of Scotland's trade, and the Argyll coast was more important than any! Indeed, the ancient kingdom of Dalriada is the original kingdom of the Scots, where Irish Gaels begand to settle and farm the very lands they had previously been happy to raid. The very word Scot comes from the Irish word "Scoti", meaning raider. 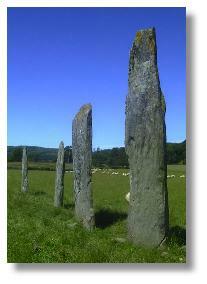 Dalriada was centred at the hill fort of Dunnadd where ancient kings were crowned, standing barefoot on the living rock, in the ancient Kilmartin glen, dotted with dozens of standing stones, stone circles, carved rocks and burial cairns dating back to before the pyramids of Egypt. This most ancient of Scotland's landscapes is the very cradle of our nation and it was here that clan Campbell established itself. The earliest attested Campbell is Gilleasbaif of menstrie (around 1260), father of Cailean Mor (Great Colin), regarded as the clan's founder. He died in 1294 and ever since the clan chiefs have taken the patronymic "MacCailean Mor". Some historians have suggested the name Campbell is derived from the French de Campo Bello, but this is seen as rather far-fetched and the more likely source is Caimbeul, an early modern Irish or Gaelic name meaning crooked or twisted mouth. The Campbell name began to be established in Argyll at the end of the 13th century, as followers of the Earl of Lennox. Between 1200 and 1500 the Campbells emerged as one of the most powerful families in Gaelic speaking Scotland, dominant in Argyll and capable of wielding a wider influence and authority in the Hebrides and Western Highlands. The family of Colin Campbell went on to become firm supporters of King Robert I (Robert the Bruce) and benefited from his successes with grants of lands, titles and good marriages. 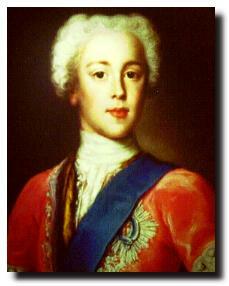 They fought for the Bruce against the English during the Wars of Scottish Independence. During the 14th century the Clan Campbell experienced massive growth, this is usually explained by the loyalty to Robert the Bruce of Sir Niall Campbell (Niall mac Caile) (d.1315). With new land and political and military control of the Western coast, the Campbell clan was able to live and grow in relative safety, without the fear of inter-clan wars which dogged so many other, smaller, clans. There is also the possibility of a family tie with the monarchy, as King Robert the Bruce's mother (Marjorie, Countess of Carrick) was probably (not proved) first cousin to Affrica of Carrick, the mother of Cailean Mor... making Cailean and Robert 2nd cousins. More strategic marriages followed, further linking the bruces and Campbells and in 1445 a Sir Duncan Campbell of Loch Awe was made the first Lord Campbell and his grandson became Earl of Argyll. The Campbells fought with King James IV against the English during the Anglo Scottish Wars of the 16th century and at the Battle of Flodden. 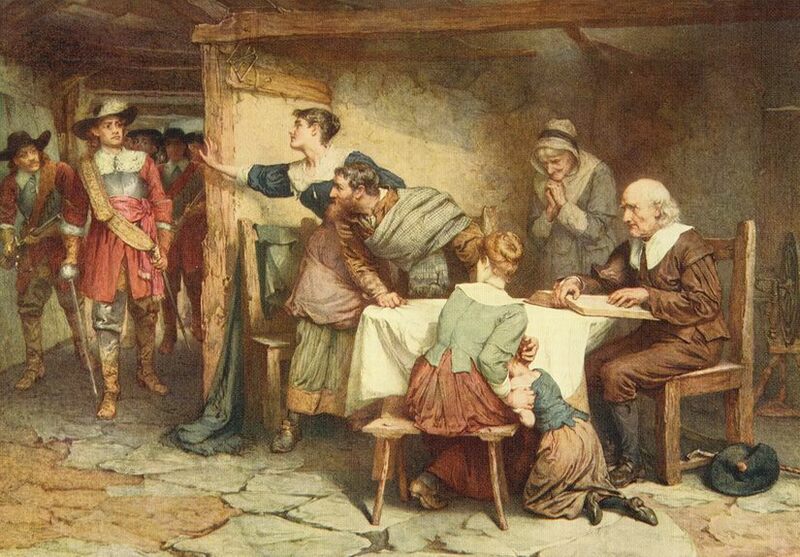 In 1568 the Chief of Clan Campbell commanded the forces of Mary Queen of Scots. During the Civil War, the Campbells fought on the side of the Covenanters and it is here that their "separation" from highland culture began. As Protestant and Covenanters, they fought against the British crown which was then Roman Catholic. 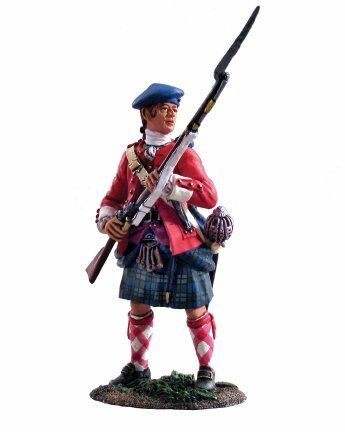 The Covenanter heritage is shared by the forerunners of the Cameronians (Scottish Rifles) who having signed the National Covenant in 1638 and fought against the British crown, unusually for a British army regiment were never given a crown on their cap badge. Romantic versions of the Jacobite story tend to overlook the less than romantic way that King Charles I ruthlessly dealt with Scots who were not Roman Catholic during this period. When the Jacobites attempted to regain the crown, the Campbells were strongly opposed and became powerful allies (or pawns) of the British Government in their attempts to deal with the rebellious highlands. Such loyalty to the British crown was generously rewarded and In 1703 the family was elevated to the Dukedom with powerful hereditory offices such as "The Lord Justice General" and "Admirals of the Western Coasts and Isles of Scotland." After the Jacobite uprising of 1745, the British government formed the Black Watch regiment (42nd of Foot), mainly drawn from the Campbells, and introduced the Government Tartan (often referred to as "Black Watch"). Remember that at this time the wearing of tartan had been banned! The Campbells were staunch pro-government supporters and fought against the Jacobites at Culloden, as part of Loudon's Highlanders Regiment. To distinguish the various Campbell lines and regiments, coloured stripes were introduced into the different variants of the tartan... the white and yellow added to distinguish the Campbells of Argyll. Because of their pro-government stance, the Campbells were not always "liked" in the Western Highlands and their unfortunate part in the infamous Massacre at Glencoe certainly won them few friends in that part of the world. In fact, the Clachaig Inn, a small hotel at the head of Glencoe has a sign on the door which reads "No Hawkers, or Cambells". Folks have long memories in these parts! MacDonald sentiments aside, the Campbells were (and still are) a formidable force in the West of Scotland, helping shape highland culture for generations. The clan was responsible for considerable modernisation and improvements in farming, crofting and fishing and are far from being the heartless loyalists so often portrayed. The Campbells' appreciation for art, music and culture has played a large part in preserving the highland way of life for today's generations and their partronage enabled the building of many churches, schools and roads. 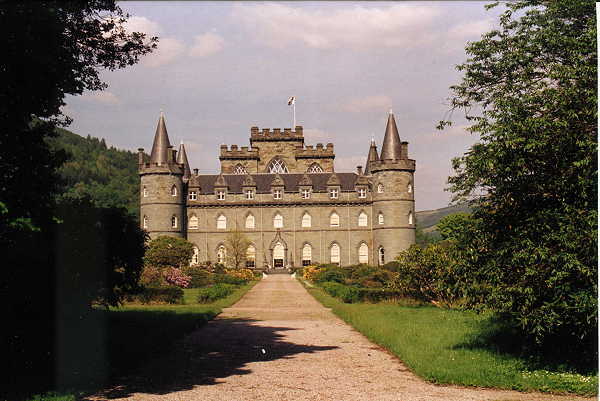 The clan seat of Clan Campbell is Inveraray Castle, a striking example of Scots baronial architecture - love it or hate it, the style swept Scotland from the early 18th century. Inveraray was a "new town", built as a substantial base for the Campbells, complete with a jail (now a popular tourist attraction) and billets for troops. Sitting on the sea-loch Loch Fyne (famous for its shellfish), Inveraray allowed the Campbells to move troops and supplies rapidly through much of the Western highlands and islands. The tartan shown here is the Modern Campbell of Argyll, based on the Goverment Tartan which, itself, is really a Campbell tartan. The Sutherland Tartan (the Sutherlands being another powerful branch of the Campbell family) is also the Government Tartan. When the Campbells were given permission to raise independent militia after the 1745 rebellion, it was natural that they used a Campbell tartan as the basis for the new military tartans being introduced into the Scottish regiments of the British army. Click here to buy Campbell tartan ribbon.